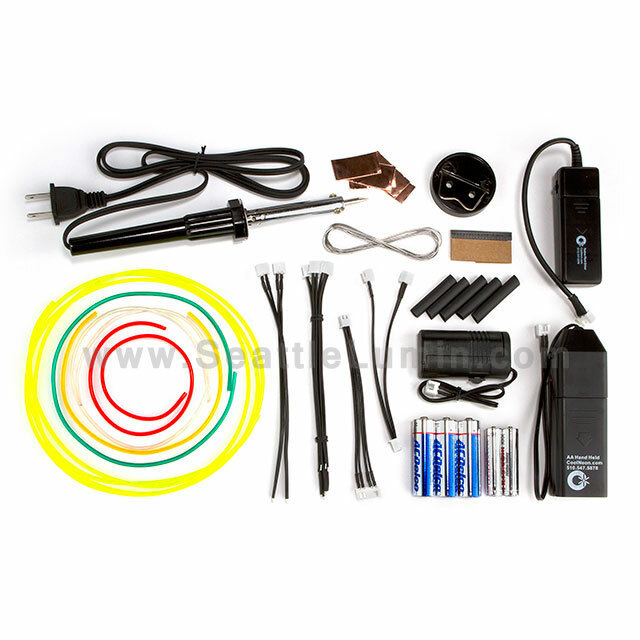 If this is your first time working with EL wire and are wondering where to begin, this kit is the perfect introduction! With our Experimenter’s kit, you will learn how to solder up your own fabulous EL wire creations in no time! Everything that you will need to get started is included. NOTE: Due to ongoing unavailability, the EZStrip EL wire strippers are no longer included with this kit. For wire strippers, we recommend the Klein Tools Katapult, available from Home Depot & other retail stores, usually for about $25.00. Also includes extensive instructions on how to do your first solder joints. A $50.00 value for $35.00!